You can charge your VapeOnly battery by screwing it into this USB charger and plugging the charger into a USB power source. 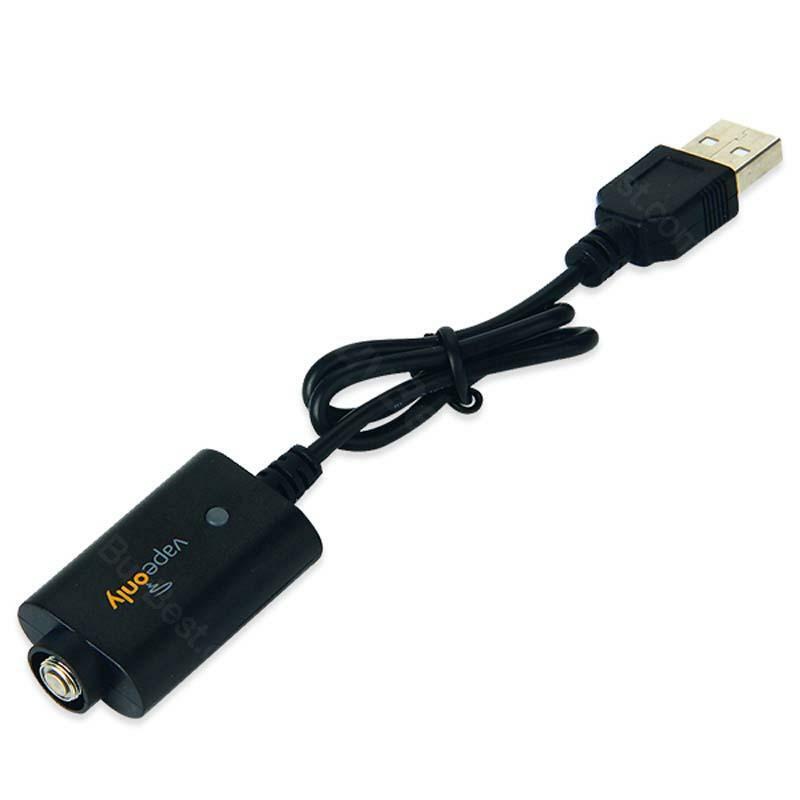 Aspire USB cable charger is the exclusive eGo batteries and e-cigarettes, featuring 420mA output. You can charge your VapeOnly battery by screwing it into this USB charger and plugging the charger into a USB power source. The light on the USB charger will be red when charging. Once fully charged, the USB charger will display a green light, and the LED light on battery will turn off. • Especially designed for VapeOnly batteries. • It's highly recommended to fully charge the battery before you remove the battery from charger. • There is CE mark on the Aspire charger. Vapeonly usb cable, it does what it should do. Must have for charging my ego batteries. Grabbed this cable for charging my batteries. Very nice and cheap.